The new DBS-series screw blowers promise big energy savings for wastewater treatment plants. With power ratings from 15 to 37 kW and flow rates from 4 to 22.5 m³/min, they are currently the most efficient screw blowers available. 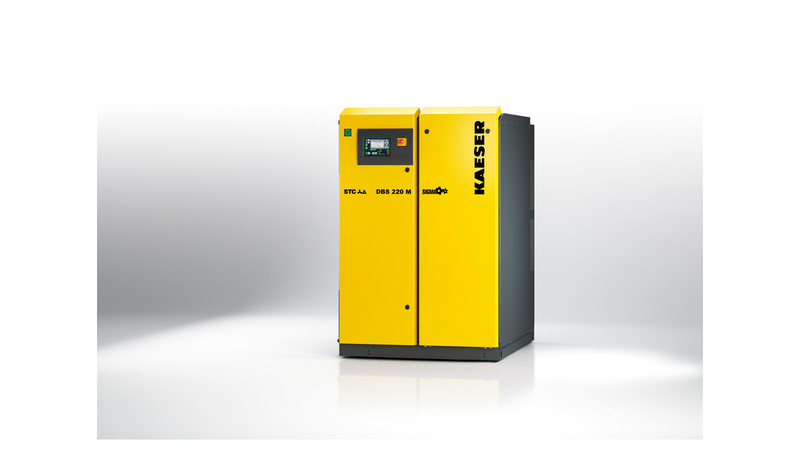 Like their big brothers, the EBS and FBS, the new Kaeser DBS screw blowers deliver unparalleled efficiency. They are up to 35-percent more efficient than conventional rotary blowers and also provide energy savings in the double digit range compared with many commonly available screw and turbo blowers. These benefits are made possible in no small part by the proven Sigma Profle rotor technology used in the rotary screw compressor sector. Another key factor is the innovative non-slip direct drive with speed transmission integrated into the airend, which delivers maximum speed with minimal transmission losses. The result: lower energy costs. These screw blowers are especially well suited to municipal and industrial water treatment applications. Two different versions are available to meet the needs of water treatment plants requiring pressures of 400 or 650 mbar. The new blowers are exceptionally quiet, with sound levels in primary applications not exceeding 72 dB, which is equivalent to a modern vacuum cleaner. The low energy consumption of Kaeser screw blowers makes them the perfect choice for supplying compressed air to water treatment plants. They are designed for use over long duty cycles, including continuous operation, require little maintenance, and can be installed side by side. Upon request they can be delivered with an integrated frequency converter or a star-delta starter. The screw blowers are delivered as turnkey systems (including power electronics and the Sigma Control 2 controller) that are ready for commissioning straight `out of the box`.